Allen & Unwin. Very Good+. 2004. First Edition. Softcover. 1865087947 . Ex-library book, but still in great condition - sturdy laminated cover and usual ex-lib type of markings. Pages clean and intact, light age tanning to page edges, overall wear very light. 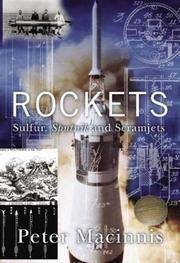 ; 12mo 7" - 7½" tall; 288 pages; Beginning in China in 70 B. C. , this fascinating history chronicles the development of rockets from gunpowder-filled sticks of bamboo to interstellar commercial satellites. In particular, the story of American Robert Goddard is traced as he led the group of 20th-century space enthusiasts who realized that rockets would provide the key to early space exploration. Also included are the contributions to rocket evolution of rugged New York stuntmen, rangy Australian kangaroos, and a nudist New Zealand physicist. (370noto,0211) . Midland Pub Ltd. Very Good+. 2005. First Edition. Softcover. 1857801970 . Ex-library book but still in great condition - sturdy laminated cover and usual ex-lib type of markings. Pages clean and tight. One library stamp was marked out on top edge and this can be seen a bit on the very top edge of some pages. Cover has some scuffing but otherwise wear is very light. Illustrated in colour & b/w. 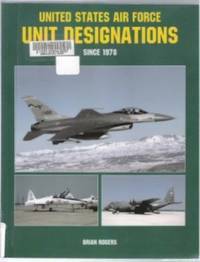 ; 4to 11" - 13" tall; 260 pages; This book has been written to help aviation historians, photographers, enthusiasts, and history buffs to correctly identify the units to which US Air Force aircraft have been assigned to since 1978. In these years, the Air Force has been substantially reduced in size and has undergone dramatic reorganizations at every level. These changes in size and organization have been reflected in the Air Force's aircraft and units. Many aircraft have been retired, units inactivated, and bases closed. On the other hand, the aircraft remaining in service provide a very visible reflection of Air Force restructuring. Many aircraft now wear the insignia of newly-formed major commands. Others carry revised tail markings and paint schemes reflecting the assignment of their units to new commands. Still other aircraft, though remaining at the same base and operated by the same crews, carry new markings as the "flags" of illustrious units displaced by base closures replaced existing units. This book is divided into three major sections. The first of these has chapters containing tables covering every USAF wing, group, squadron, and detachment that was active and had assigned aircraft at any time between 30th April 1978 and 1st October 2002. These listings enable the reader to follow the organizational changes each Air Force flying unit underwent during the period. The second is an index of aircraft markings and finally there is a chronology showing when major events in this saga of Air Force reorganization took place. (916) . US Naval Institute Press. Very Good+ in Very Good+ dust jacket. 2004. First Edition. Hardcover. 1591146860 . Ex-library book, but still in excellent condition - pages clean, tight and unmarked. Laminated cover and usual ex-lib type markings. Jacket has light scuffing, no tears, couple small spots to outer edge of pages. B/w photos. 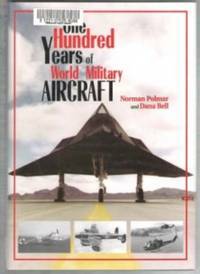 ; 4to 11" - 13" tall; 324 pages; From a Reviewer: "Polmar and Bell have done a masterful job of covering a century's worth of military aircraft. (Make that "unmanned military aircraft"--the V-1 buzz bomb and the Predator don't make the cut. ) There's material here for at least 100 arguments, but the selections are always interesting and the logic is always impressive even if you aren't entirely convinced. (What, no Storch? No P-47 Thunderbolt? ) In the meantime, you'll pick up information you didn't have before. (The first operational military helicopter was the Flettner Kolibi, designed to be carried on U-boats. ) One for your library! -- Dan Ford " (*Note - due to heavy weight, extra postage will be required)  . 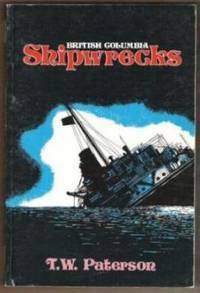 International Marine/Ragged Mountain Press. Very Good. 1999. First Edition. Softcover. 0071343253 . Ex-library book, but still in great condition -sturdy laminated cover and usual ex-lib type markings. Internal pages clean and tight, a little soiling to outer edge of pages. Cover has light scuffing and light wear at corners. B/w illus. ; Large 8vo 9" - 10" tall; 144 pages; A treasure chest of proven labor-savers that can help you get those pesky maintenance chores done faster--so you can get out on the water and play. Here are 1,001 tested tips from Boating Magazine's maintenance expert, giving super-effective yet environmentally friendly ways to clean and maintain all your boat's systems: deck, hull, cabin, engine, bilge, electrical systems, tanks, and gear. Stop working on your boat and go boating! [400-osl] . Intl Marine Pub. Very Good+. 1995. First Edition. Softcover. 0070081646 . Ex-library book, but still in great condition - sturdy laminated cover and usual ex-lib type markings. Interior pages clean, tight and unmarked. Cover has a little scuffing and price sticker on rear. Illustrated. 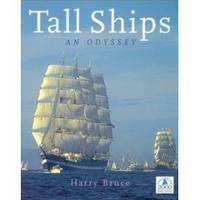 ; 8vo 8" - 9" tall; 220 pages; The popular texts would have us navigate our small boats using the same techniques found on an aircraft carrier. But these elaborately precise methods just don't work in the bouncy, wet, cramped cockpit of a typical pleasure craft. 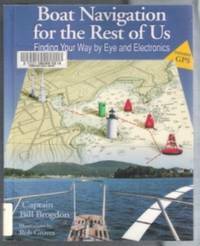 This is the first book to teach small-boat navigation the way most people actually navigate, combining electronic aids like radar, GPS, and Loran with commonsense visual piloting and seat-of-the-pants chartwork. 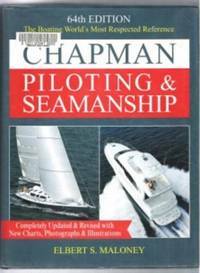 It explains in plain, simple language exactly how to find where you are and get where you want to go with a minimum of fuss, and contains many useful but relatively unpublicized methods specifically designed for use aboard the nation's 20 million small power- and sailboats.  .
Harbour Publishing. Very Good. 2000. First Edition. Softcover. 1550172247 . Ex-library book but still in very nice condition - sturdy laminated cover and usual ex-lib type markings. Interior pages are clean and tight, a small amount of soiling to outer edge of pages. Cover has light scuffing. ; 8vo 8" - 9" tall; 246 pages; "In the five years since the Flying Canucks series began," says Pigott, "I have never ceased to marvel that everything connected with aviation in Canada took place in the proverbial blink of an eye." It is barely nine decades since Casey Baldwin became the first Canadian to achieve sustained flight, and only seventy-odd years since J. Dalzell McKee and Earl Godfrey made the first flight across Canada. 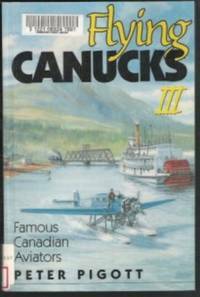 The "flying Canucks" in this volume include some legends of aviation lore, like James Richardson and Gordon McGregor, as well as a few whose exploits are less known, such as the Norwegian-born Bernt Balchen. "Babe" Woollett and Art Schade represent that special breed, Canada's bush pilots, and Donald McDonald, who flew in defence of Ceylon, speaks for the many Canadian World War II fighter pilots. The aerial achievements of Casey Baldwin and Don Muir serve as bookends of a century of aviation, and embody the nconquerable spirit of every era of flying. If there is a conclusion to be drawn from this intentionally eclectic compendium, it is that courage and audacity are timeless human traits. Flying Canucks III gives the reader a glimpse at the lives of some exceptional human beings - who also happen to be aviators. As Babe Woollett said, "I certainly hope God meant man to fly. Otherwise I've made a bloody fool of myself all of these years for nothing." [418-osl? ] . Hearst Books. Very Good+ in Very Good dust jacket. 2003. First Edition. Hardcover. 1588160890 . Ex-library book, but still in great condition. Huge book with laminated cover and usual ex-lib type markings. Pages clean and all intact, light soiling bottom edge of pages. Jacket has some scuffing and light creasing. 928 pages. 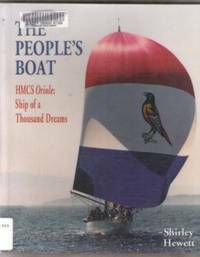 ; 4to 11" - 13" tall; 928 pages; This new edition of the classic reference used by boating schools and recommended by the Coast Guard Auxiliary covers every imaginable topic related to both powerboats and sailing ships, from emergency procedures and international signals at sea, to weather conditions, knots, navigation and much more. This heavy dose of information is presented in an easy-to-understand text and a user-friendly design that features sidebars, color and b&w illustrations, maps, etc. 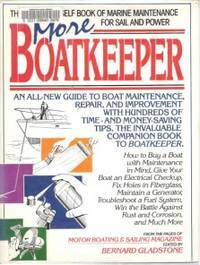 While the scope of the book may be more than a casual boater needs, the author assumes many readers are novices. For example, he says, "Among the most important of all piloting tools are ordinary pencils and erasers. Pencils should be neither too hard nor too soft ." More experienced sailors might know this, but a weekend boater may not think to bring one on board. The section on motors provides color photographs with labels designating each part. Appendix material includes a listing of such useful information as state registration offices, boating organizations and marine safety offices. (*Note: due to very heavy weight - over 8 lbs wrapped - there will be extra shipping charges) [3.36] . Heritage House Publishing. Very Good+. 2002. First Edition. Softcover. 1894384202 . Ex-library book, but still in great condition, sturdy laminated cover and usual ex-lib type markings. Pages clean and intact, cover has very light edgewear and a little soiling. Colour & b/w illustrations. "...The design of famed MIT marine architect George Owen, the pride of original owner George Gooderham, commodore of the Royal Canadian Yacht club, the steadfast training ship of the Royal Canadian Navy for more than five decades, and ultimately 'the people's boat' in her home harbours of Esquimalt and Victoria, HMCS Oriole continues to add to her legacy with every new nautical adventure...." ; 4to 11" - 13" tall; 176 pages . Hearst Marine Books. Very Good in Very Good dust jacket. 1988. First Edition. Hardcover. 0688076459 . Clean, tight condition. Ex-library book with usual type markings - still in very nice condition. Pages are clean & tight. Jacket has light wear, light soiling & scuffing. 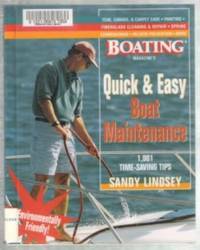 A new collection of consumer-tested, time- and money-saving tips on how to put a boat in top condition and keep it that way, taken from the popular "Boatkeeper" column of Motor Boating & Sailing magazine. 120 illustrations. ; 4to 11" - 13" tall; 203 pages . PA: Schiffer Publishing. Very Good+. 1996. Softcover. 088740894X . Ex-library book, but still in very nice condition. Sturdy laminated cover and usual ex-lib type of markings. Pages are clean and intact, light edgewear to covers. Great old b/w photos. 184 pages. ; 4to 11" - 13" tall; "Relive the golden age of Milwaukee motorcycling with this unique book that goes beyond the rest. 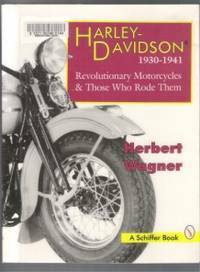 Read intimate accounts from company officials, dealers, and riders of classic Harley Davidson motorcyles of the 1930s. Hundreds of period photographs from private collections and massive text trace the development of the H-D Big Twin from the sidevalve VL to the '61 and '74 models, and the legendary Knucklehead. Experience the Milwaukee motorcycle scene from the men and women who lived it. " [922 ] . Key Porter Books. Near Fine. 2000. First Edition. Softcover. 1552631575 . Very nice condition, clean and unmarked. A little wear to outer corners, light scuffing. Wonderful colour photos. 96 pages. ; 8vo 8" - 9" tall; "For more than 5,000 years men have harnessed the wind to sail the sea for trade, conquest and exploration. Tall Ships celebrates this remarkable history by offering readers a behind-the-scenes look at one of the most spectacular trans-Atlantic races ever held. " (*lower shipping avail to Cdn & overseas locations) [346-osl] . Harper & Row. Very Good in Good+ dust jacket. 1986. First Edition. Hardcover. Clean, tight condition. Ex-library markings. Pages are clean. Jacket has scuffing & light edgewear to laminate which has a few small tears. Profusely illustrated in b/w & colour. "Carlson has produced a spectacular visual documentary of toy trains that should appeal to collectors and enthusiasts alike, as well as the kid in us all. 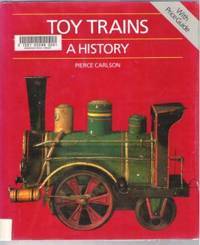 This historical journey traces the toy train market from 1840 to 1955. International in scope, it highlights major European manufacturers, such as Bing, Carette, and Marklin, and American companies such as Ives and Lionel. " ; 4to 11" - 13" tall . London: PRC Publishing. Very Good+. 2002. First Edition. Softcover. 1856486567 . Ex-library book, but still in very nice condition - usual ex-lib type of markings. Interior clean and all pages intact. Cover has light edgewear and minor soiling to outer edge of pages. Heavy, oversize book. ; 4to 11" - 13" tall; "Happy 100th birthday, Harley Davidson! Celebrate a century of the most exciting motorcycles ever made in 448 exciting, thrill-inducing pages of color photographs. 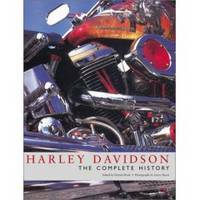 With images of every Harley ever produced and sold, and complete specs on each one, this beautiful, oversized volume will rev cycle lovers' motors on high. " (*Note - due to heavy weight - extra postage will be required)  . U. K.: Aston Publications. Good. 1987. First Edition. Softcover. 094662707X . Solid reading copy. Ex-library with laminated cover & usual type markings. Laminate has moderate edgewear and a small peeled area of laminate on front, moderate soiling outer edge of pages. Internal pages are very good, clean with light age tanning to edges, may be the occasional small spot. B/w photos. 216 pages. "The P-51 Mustang is still one of the most revered aircraft ever to take to the skies. Mustang Survivors offers restorers an authoritative reference guide to help locate spare airplane parts. Covers 50 of the better known Mustangs in full, including their complete military history and civil ownership records. Includes detailed appendices listing contact information for parts sources, plus accurate production figures, and complete lists for all units that flew the Mustang. 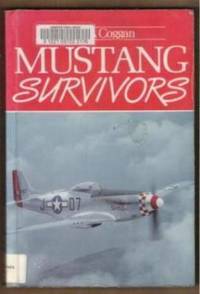 This book also offers technical information, photographs and detailed drawings for aero modelers interested in starting a Mustang project. " ; 8vo 8" - 9" tall . Alberta: Friends of Reynolds-Alberta Museum Society. Near Fine. 1992. First Edition. Softcover. 1895706009 . Excellent condition. Clean & unmarked, slight wear to edges/corners, a little scuffing to covers. Wonderful vintage photos throughout. 37 pages. 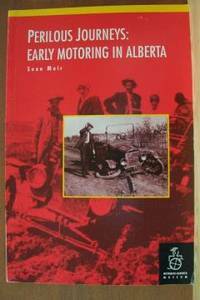 "...Ever wondered what travelling by car in 1915 Alberta was like? This book takes you down some of the muddiest roads in the provinces, shows you what could go wrong with your car, and details the kinds of maps & guidebooks that might be available to early tourists..." (160? Os) ; 8vo . Langley, B. C.: Stagecoach Publishing. Very Good. 1976. First Edition. Softcover. 088983007X . Cover has light edge/corner wear, light creasing, light rubbing. Pages clean and intact, couple light corner creases, b/w illustrations/photos.195 pages. "Storm, hidden reef, primitive navigation, human error and Indian attack have accounted for hundreds of vessels, and thousands of lives, during the past 200 years; making shipwreck one of the greatest threats to life and limb in British Columbia history....31 true stories of shipwreck and disaster along the rugged coasts & rivers of British Columbia" (330osl) ; 8vo 8" - 9" tall . Vancouver, B. C.: Douglas & Mcintyre. Very Good. 1982. First Edition. Hardcover. 0888943539 . Libary binding, jacket attached to book, usual ex-library markings, laminated cover. Moderate edge & corner wear to book & laminate, light soiling. Very sturdy book. Internal pages are very good other than two pages with a rough edge & one paper which has been taped at spine. 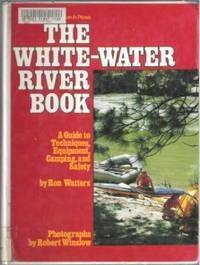 Covers not only the basics of safety & equipment, but how to plan river trips, read the water to map safe courses, mount rescues & do emergency repairs. ; 4to 11" - 13" tall . Sogo Way. New in New dust jacket. 1997. First Edition. Hardcover. 0965958000 . New in shrink wrap. From a Reviewer: "..... World War II brought havoc to rail lines in Japan, leaving them unsuitable to meet the needs of a growing postwar Japanese economy. 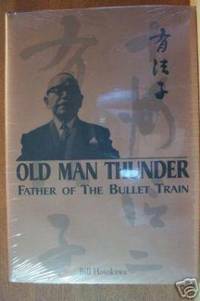 In 1955, after an accident forced the president of the railway to resign, Sogo, at age 71, was lured out of retirement to head the government-owned railroad. He was one of the few who were convinced that railroads would be Japan's best means of transportation, and he set out to build a new system, using the newest technology to carry heavy loads at rapid speeds....." ; 8vo 8" - 9" tall . London: Croom Helm. Near Fine in Very Good+ dust jacket. 1985. First Edition. Hardcover. 0312892519 . Croom Helm, London 1985 edition. ISBN: 0709924674. HC/DJ - near fine/ VG. Hardcover is clean and unmarked, very light corner bumping/wear, slight soiling outer edge of pages. Jacket has light edgewear, scuffing, a few tiny edge tears, one small edge stain, not clipped. 376 pages. B/w illus. 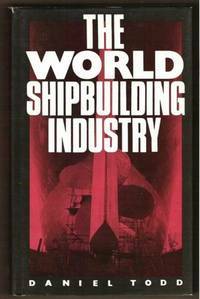 ... A comprehensive overview of the world shipbuilding industry against the backdrop of its global realignment. It contrasts the conditions which fostered its development in newly-industrialised countries such as Japan, South Korea and Brazil; with the problems leading to its decline in Western Europe and North America. The book also discusses the supply and demand factors peculiar to shipbuilding and notes the inherent instability of the industry due to conditions imposed upon it by the economic environment and concludes by assessing current trends and future developments. Illustrated with tables and diagrams. (700) ; 8vo 8" - 9" tall . University of Alberta Press. New. 2002. First Edition. Softcover. 0888643705 . Large softcover is new with, no markings, a little scuffing to covers. B/w illustrations. 343 pages. Although we enjoy the illusion of isolation behind the wheel, driving is a social act that depends on our adherence to certain rules. When the rules are broken, injury, loss or even death may be the consequence....Drawing upon psychology, sociology, education, engineering, medicine and the law, thse essays call for change in the hope that we can make traffic safer. 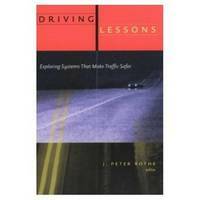 Driving lessons seeks to encourage intervention from diverse points of view: to prompt debate and provoke action. --from the back cover. ; 8vo - over 7¾" - 9¾" tall .